Escape to Margaritaville, the new musical featuring the songs of Jimmy Buffett, will play Broadway's Marquis Theatre. The show will begin previews on February 16, 2018 with opening night set for March 15. Escape to Margaritaville includes Buffett’s classic hits, as well as original songs from the singer/songwriter. The story, crafted by scribes Greg Garcia and Mike O’Malley, follows a character named Tully at the titular tropical island resort as he questions his relaxed ways upon meeting (and falling in love with) a career-minded tourist. Come From Away's Tony-nominated director Christopher Ashley and choreographer Kelly Devine lead the creative team. The out-of-town engagements star Paul Alexander Nolan as Tully, with Alison Luff as Rachel and Lisa Howard as Tammy. Joining them in principal roles are Charlie Pollock as Brick, Don Sparks as J.D., Andre Ward as Jamal and Rema Webb as Marley. 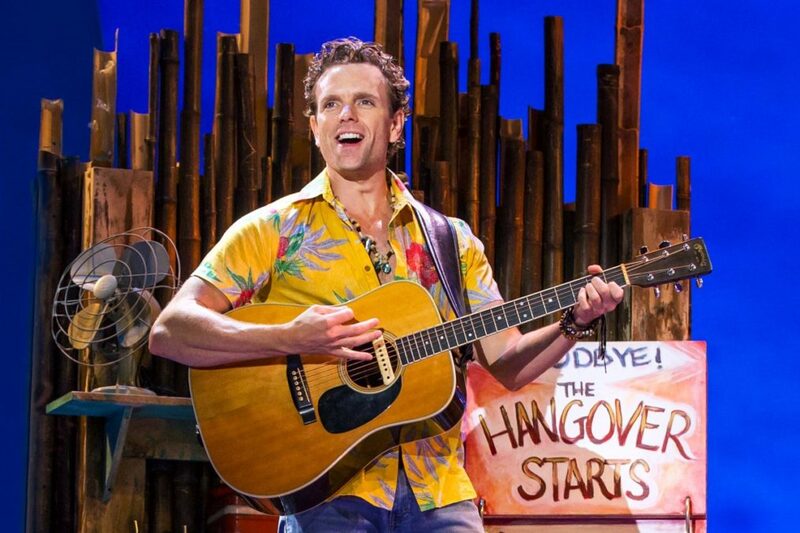 Casting for the Broadway production of Escape to Margaritaville will be announced at a later date. As previously announced, the Marquis' current tenant, On Your Feet!, will end its Broadway run on August 20, 2017. Check out a sample of the La Jolla premiere of Escape to Margaritaville in the montage below.